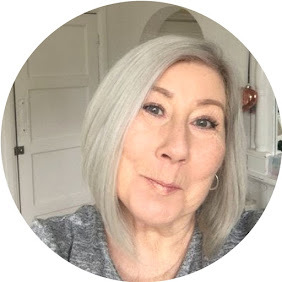 I don't know about you, but I do like to go no make up on occasions, and yes I was recently caught out by one of my gorgeous readers in a supermarket lately, where I wanted the ground to open up and swallow me, I found myself saying " oh it's so lovely to meet you, excuse my face ! " LOL I wish I had been wearing this NEW product from Gosh Copenhagen at the time. Gosh Primer Primer Plus Skin Adaptor Anti Pollution is unlike anything I have tried before, on first glance on the shelf you may dismiss it as "just another primer " it is so much more than that, described as multi-functional makeup, it truly is a bit of a wonder product in my opinion. CITYGUARD+ : A complex made up of two components from marine origin. OAK EXTRACT : With it's intense astringent and oxidant properties. This really does give you the best of both worlds, paraben & perfume free, cruelty free. Oh Lyn I am gutted this isn't working for you, I wonder what it would be like with another primer underneath ? I am going to test it out this weekend, it would be a shame for you to have to waste it. Not too worry, Lyn, will try it again after moved (fingers crossed)when less stressed and hopefully less wrinkled. At the moment my skin doesn't like me very much!! You have been through and are still going through a lot, I think this always shows on our skin, I know it does with me, but you will be glowing and happy once everything gets settled I'm sure.